Year 2014. 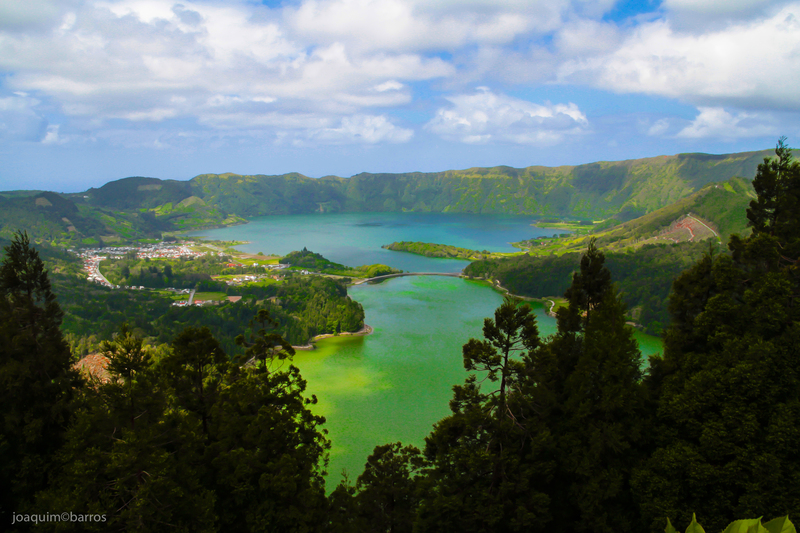 “Lagoa das Sete Cidades” is located in the Portuguese Archipelago of Azores in S. Miguel Island. The lagoon itself is located in the west side of the island which was the youngest part of the island to born some four hundred thousand years ago. The lagoon is also known by Blue Lagoon and Green Lagoon but they are actually the same lagoon. Is the sediment floor of both sides that gives them that particular color difference. A bridge crossing to Sete Cidades town in the middle section gives the impression that they are two distinct lagoons when seeing them from the viewpoints.